Topaz jewelry has remained one of the favorites of jewelry designers for some time now. Diverse, creative and elegant, the topaz is a beautiful gemstone that any woman wants to have in her jewelry box. However, when buying topaz jewelry there are a couple of things you need to pay attention to. Of course, this is also true for buying any precious & semi precious stones jewelry, but this article is dedicated to topaz. Read further to discover our top tips for buying topaz jewelry. We won’t bore you with chemistry and geology, but it’s important to know that topaz is a mineral, usually yellow with a hardness of 8 on the Mohs hardness scale. This means that it is a durable gemstone, one that is resistant to scratches and mechanical shocks. However, treated topaz is a completely different story, but we’ll get to that later. You have probably heard of the term “imperial topaz”. This is a name given to some rare varieties of topaz, based on their color. As we stated before, topaz is usually yellow or colorless and can come in different hues, from light yellow to orange. However, there are also other varieties of topaz which are quite rare. Blue, red, pink and purple topaz are also called imperial topaz. This has nothing to do with its hardness or chemical properties, but everything to do with its color. Imperial topaz is a fancy name for rarer varieties that aren’t yellow, brown or colorless. No matter how you call it, topaz is a beautiful and popular gemstone. In fact, blue topaz is the second most popular gemstone in the world, just after sapphires. Topaz jewelry has a distinguished elegant look and it is versatile and each to match. So what should you look for when buying topaz jewelry? Read further to find out. White topaz jewelry is, in fact, colorless. Colorless topaz is the most common variety of this gem, but it has a unique and beautiful brilliance. Yellow topaz is the second most common color for this rock. As a fun fact, centuries ago, people would name any yellow gem “topaz”. Blue topaz is very rare. We know you are surprised by this information as you can find a lot of blue topaz jewelry on the market. However, most probably, the gemstone has received a heat treatment to get its pale blue color. Naturally blue topaz can be quite expensive. Pink topaz jewelry is very similar to pink diamonds or sapphires. It looks beautiful, but it will cost more than yellow or colorless topaz because the pink variety is also very rare. Champagne topaz has a natural brown color and is never treated. It is also quite inexpensive as brown topaz is not hard to find. Mystic topaz jewelry. We know you love how it sounds, but you will also love how it looks. Mystic topaz receives a chemical treatment to achieve a rainbow of colors. Sometimes, you can even see more than three colors on its surface. However, this is not a natural-occurring hue for topaz. The clarity is an important factor when buying topaz jewelry. Generally, this gemstone has a good clarity with little inclusions. The exception to this rule is the pink topaz. With this variety, you may notice more inclusions inside the gemstone. However, if you are not buying pink topaz jewelry, expect to get an eye-clear stone. 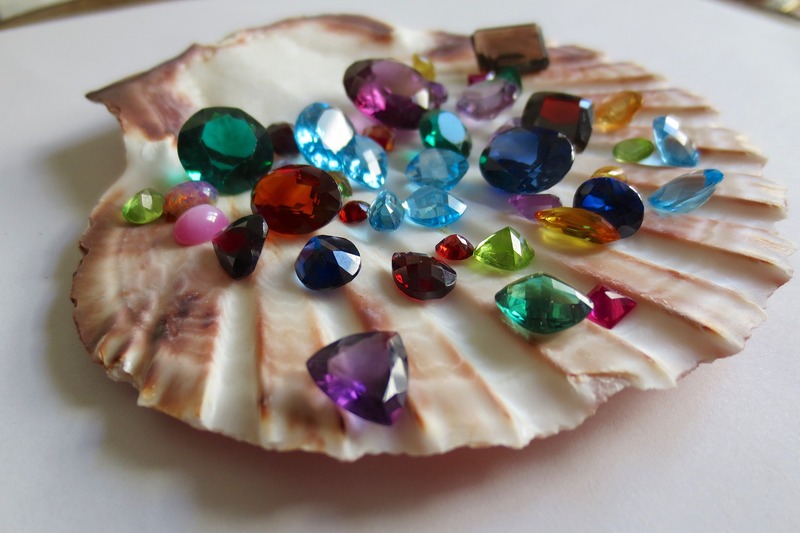 This brilliant gemstone can be cut in any shape and it will look amazing. But if you truly want your topaz jewelry to stand out, look for topaz in an emerald or Asscher cut. Of course, since this gemstone offers a great clarity, the cut is only a matter of taste. As we stated before, blue topaz jewelry, for example, receives a treatment in order to achieve this color (unless it is a natural-occurring blue topaz which you will be able to tell by the price tag). It is always a good idea to ask the jeweler if the stone has received a heat or irradiation treatment. The thing with these color-enhancing treatments is that the stone will become sensitive to high temperatures. This is something you should know before purchasing treated topaz jewelry. When it comes to topaz imitations, one of the most common scams for shady jewelry stands is to sell “Brazilian Topaz”, “Gold Topaz” or “Bohemian Topaz”. These are not topaz varieties but, in fact, treated quartz made to look like topaz. When buying topaz jewelry, avoid stones with names like the ones above. If you enjoyed reading about topaz, check out our other articles as well. To view Ana Luisa’s unique gemstone jewelry collections, visit our online jewelry shop.